During the visit of world-famous Qutub Minar in Delhi, you will find the Alai Minar inside the Qutub Complex archaeological area. Alai Minar is an unfinished monument whose projected height was twice to the Qutub Minar. Ala-Ud-Din Khilji was over ambitious so after the doubling the size of Quwwat ul-Islam mosque he decided to make a new tower of victory whose size must be double to Qutub Minar. 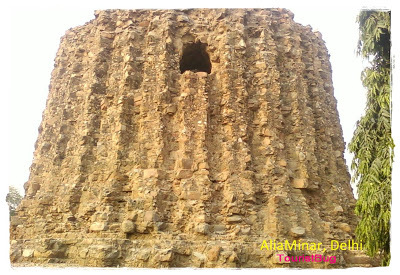 Then the Alai Minar was built by the Ala-Ud-Din Khilji during his ruling period (1296 – 1316 AD). 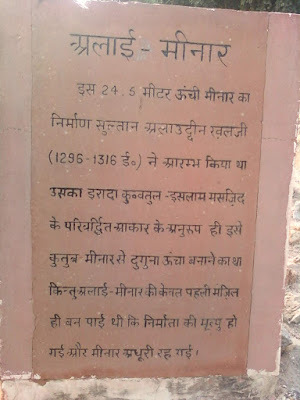 After the death of Ala-ud-din Khalji, the construction of the tower could not be completed. The intention behind the building of minar by Ala-ud-din Khilji is mentioned by the Sufi poet Amir Khusro in “Tareekh-i-Alai” to increase the area of mosque and construction of another minar. It is not complete so there is not much to say for its architecture. The full height of the Alai Minar tower is only 24.5 meter or 80 feet and it is just a base which looks like a red rubble core. The circumference of the tower is 77.72 meter or 255 feet. The diameter of the Alai Minar is approx. 40 feet less than the Qutub Minar tower whose diameter is 47 feet. The thickness of the outer wall of the Alai Minar is 19 feet and divided into 32 faces. The interior central column is 26 feet in diameter and around it stairs for reaching to the top. For visiting the Alai Minar you have to go Qutub Minar which is situated in Mehrauli in South Delhi. New Delhi is well connected to other cities by railway, bus services and by airplanes. For reaching to Mehrauli from Delhi you can take Metro, DTC bus or you can book cab also. 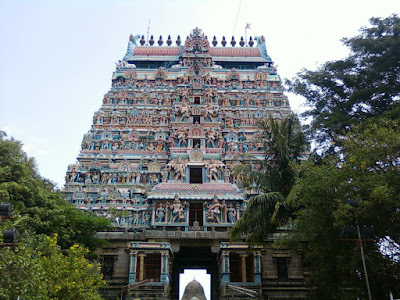 It opens for 10:00 am to 06:00 pm daily. When I visit this place the entry fee was Rs. 30/- per head for Indians and for foreign tourists it was Rs. 500. Entry was free for children’s up to 15 years.